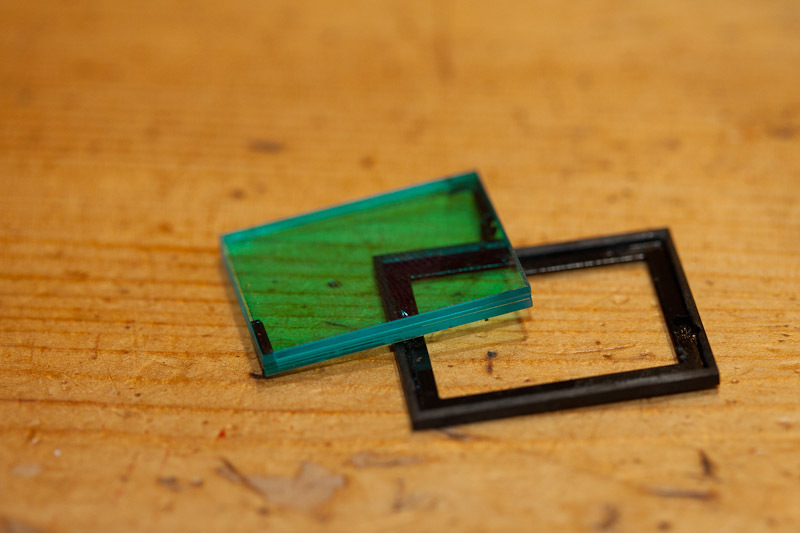 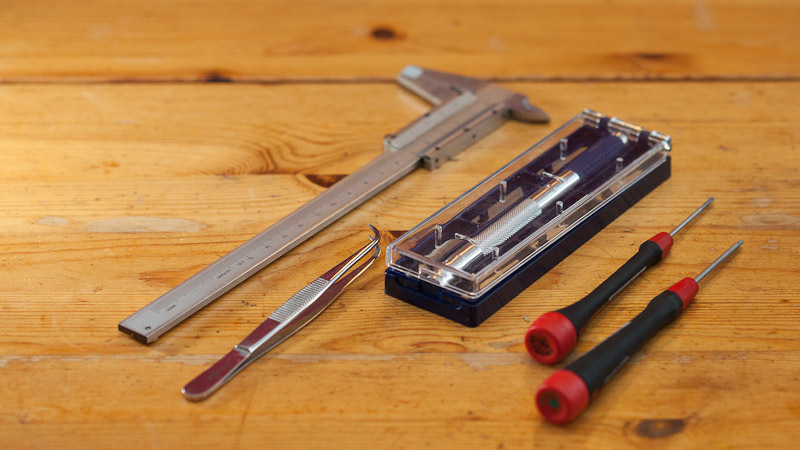 Cutting the filter » Howto cut your own filter to size, using a glass cutter. 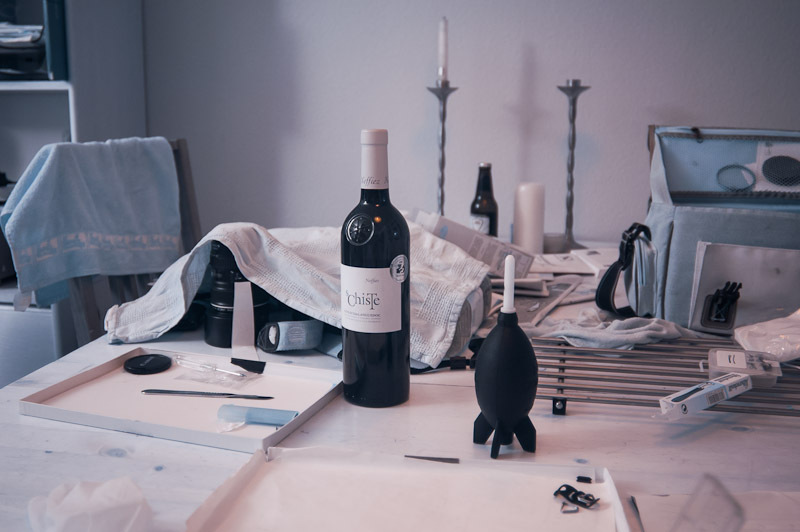 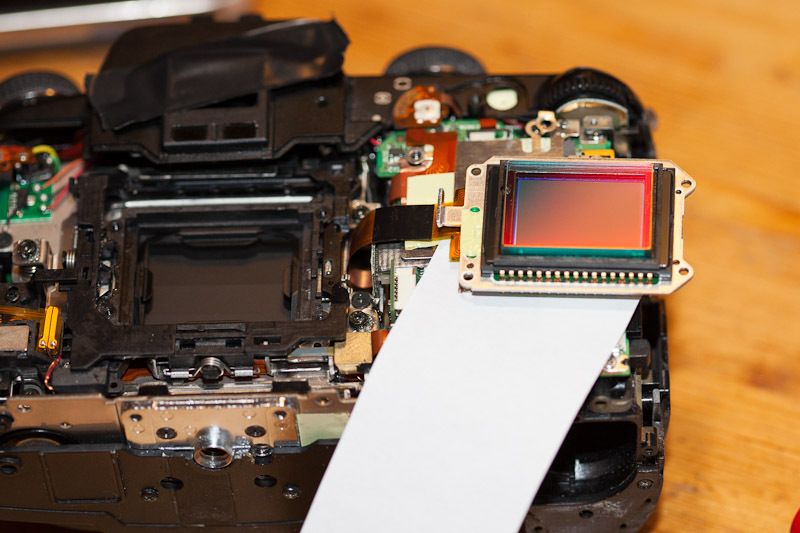 Correcting focal plane » If the newly installed IR filter has a different thickness as the original, the focal plane shifts and this has to be corrected. 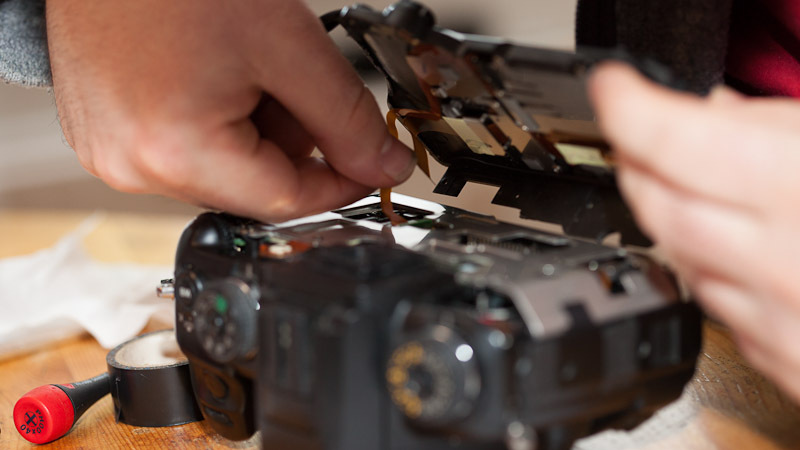 **Copyright** All content of this website is licensed under a Creative Commons Licence. 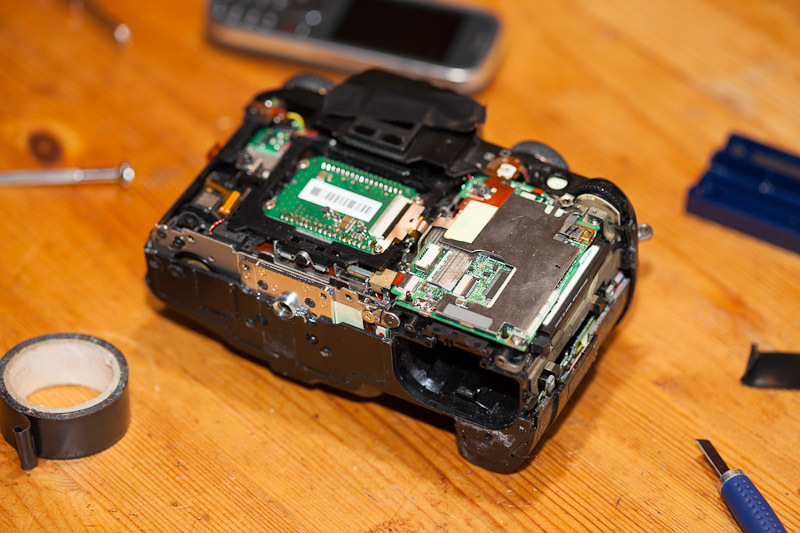 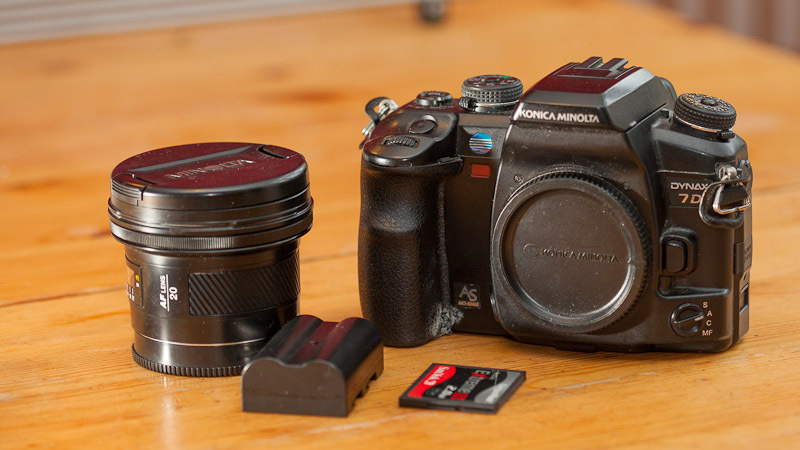 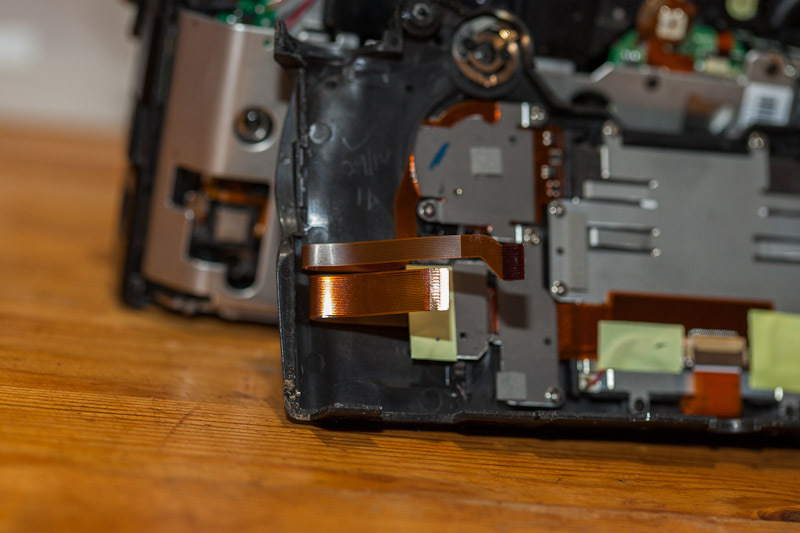 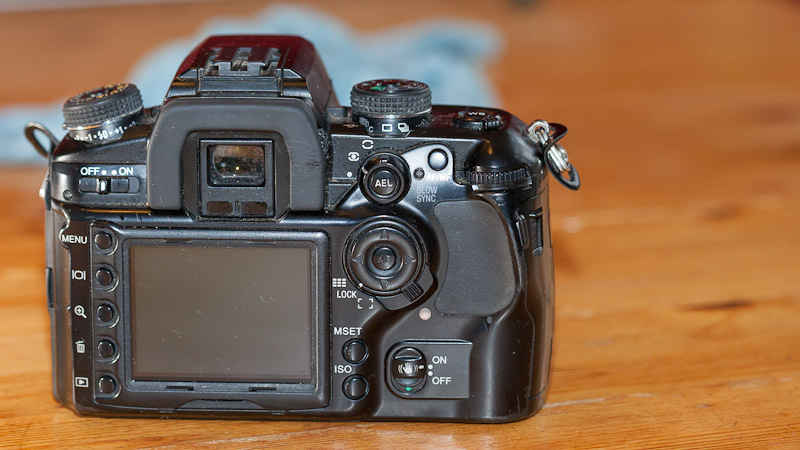 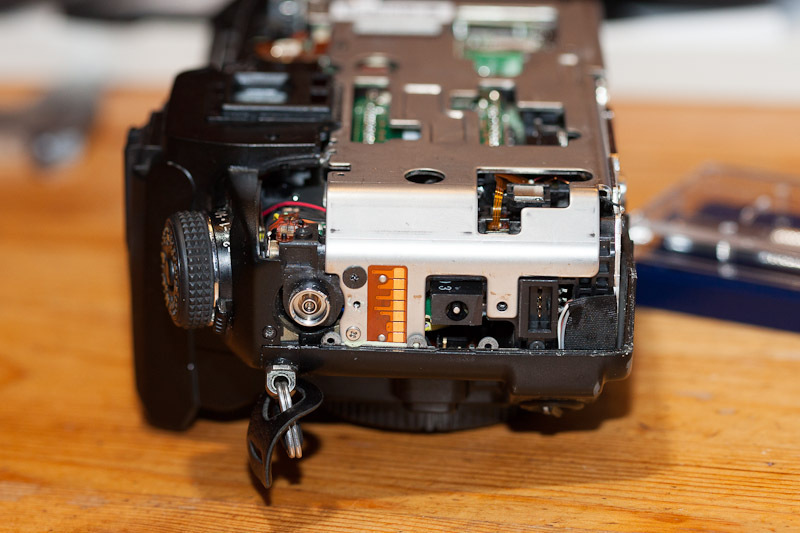 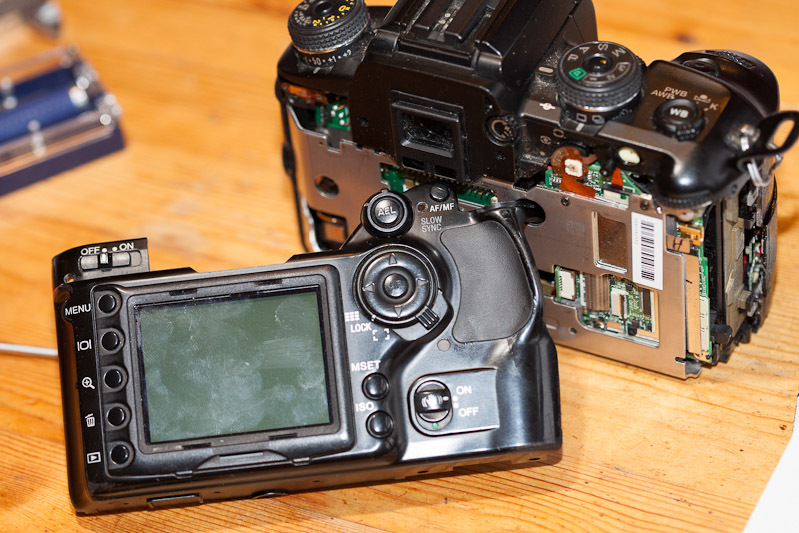 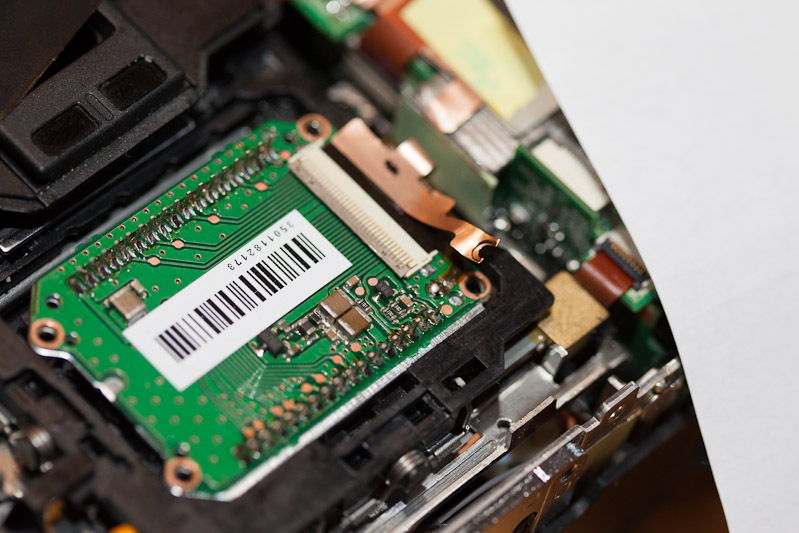 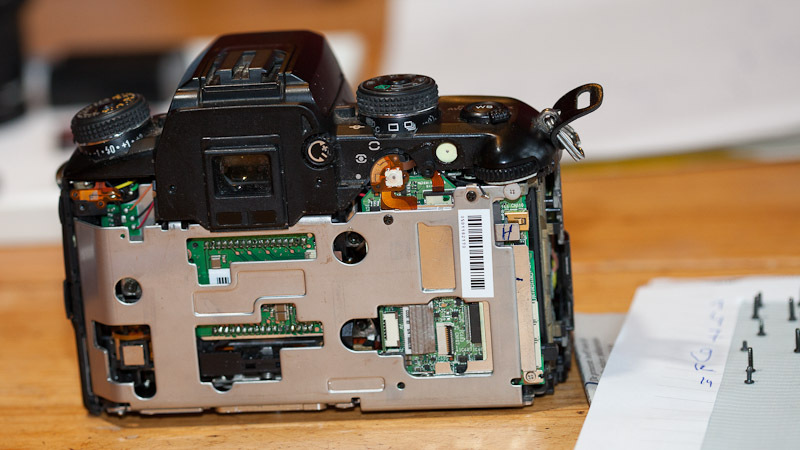 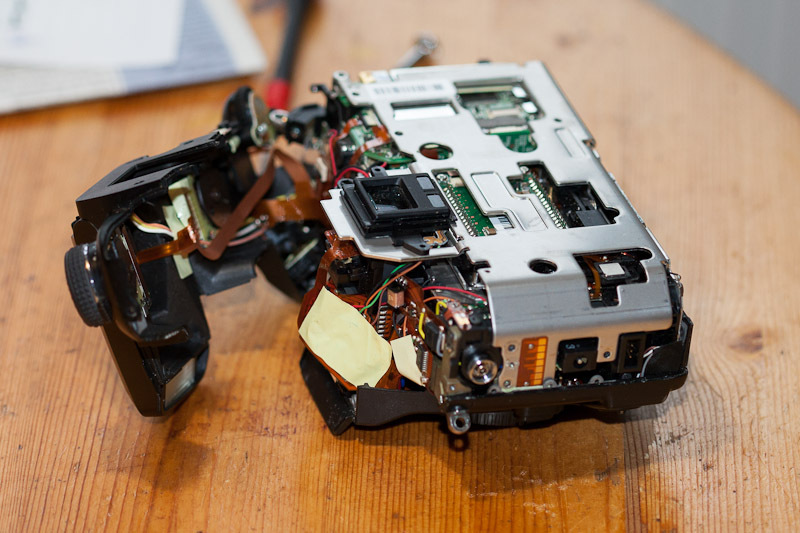 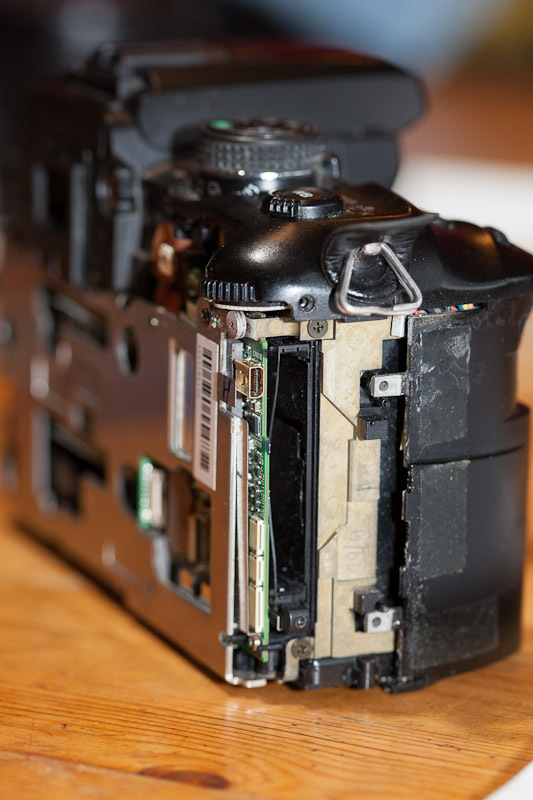 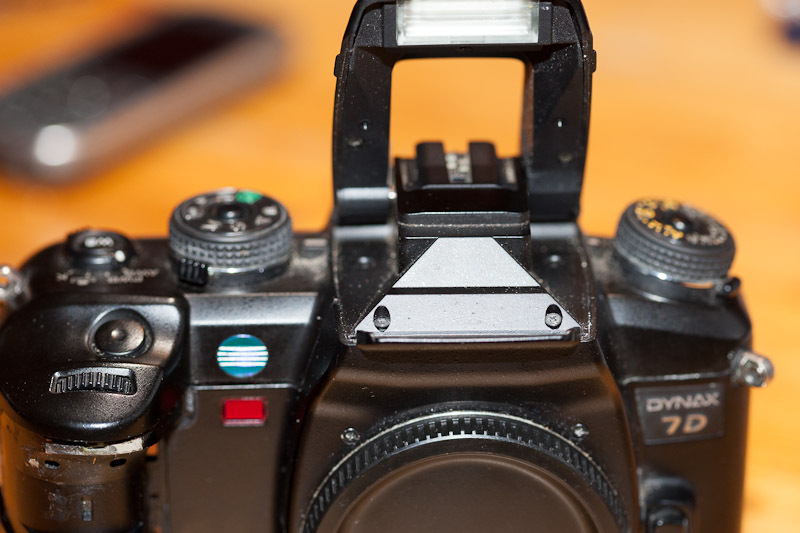 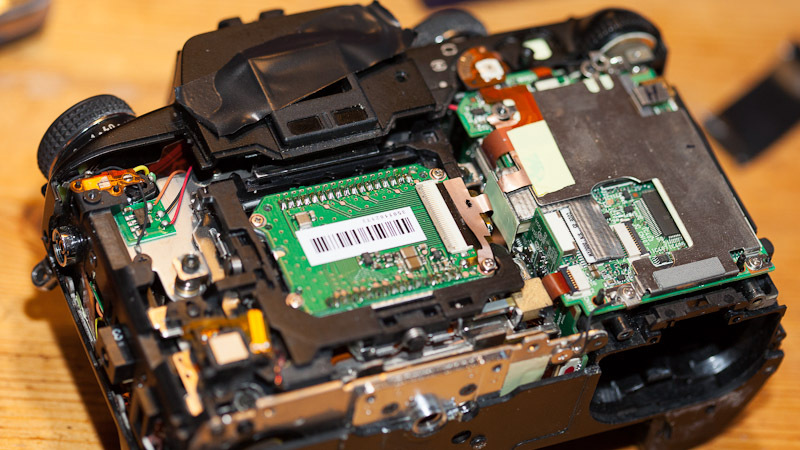 This is a fairly easy camera to handle, but don't overtighten the sensor screws when putting it back together as this may cause errors related to the sensor stabalisation. 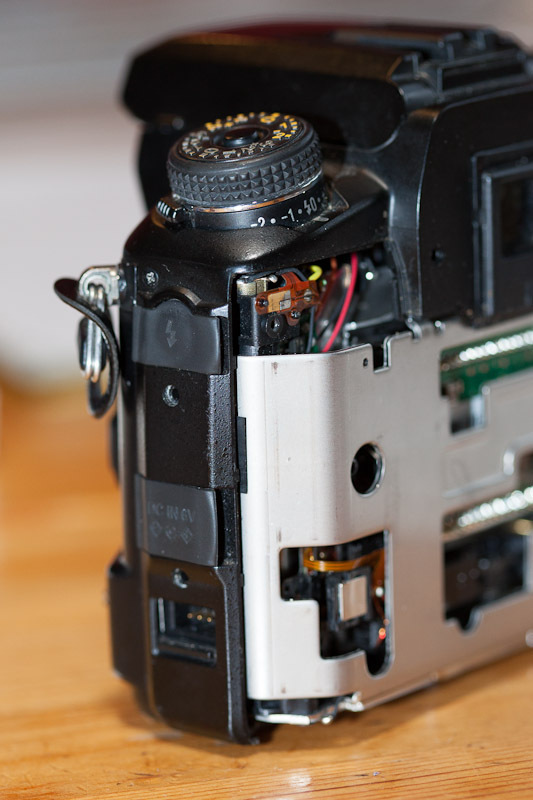 Some more helpfull information on the construction of this camera and the positions of all screws etc. 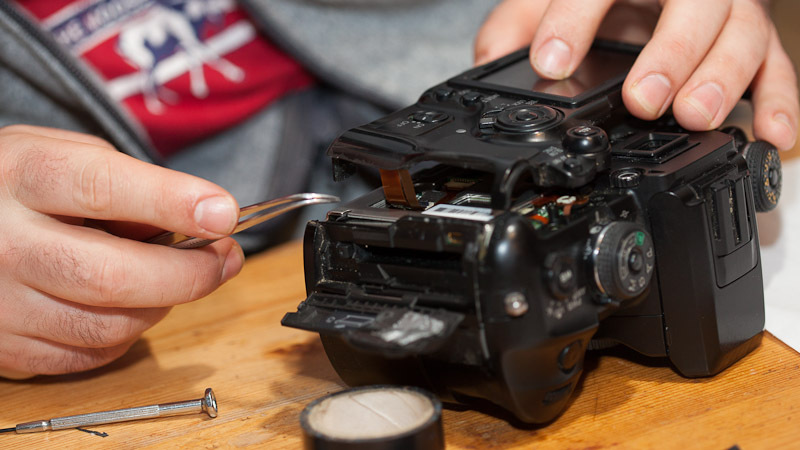 can be found in this Repair Guide .